Over the past few years I’ve developed a deep love for hummus. Unfortunately, there is only one brand in the market place that I really enjoy. When my friendly neighborhood grocery store didn’t have my particular brand last time I shopped, I decided to try and make my own to see how that would turn out. 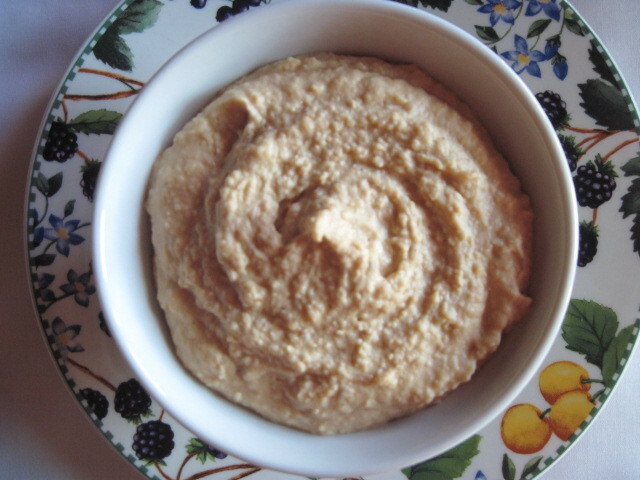 Armed with Dorie Greenspan’s recipe for hummus that I found in her new cookbook “Around My French Table” (page 19), I was on my quest to make my own better brand of hummus! As with every recipe I use I make my own adaptations to the original because, 1) I’m creative 2) I’m not good at following directions and 3) I’m a bit stubborn. Dorie’s recipe was no exception. I’ll denote my personal additions with the use of an (*) . Oh, I almost forgot to tell you, I also doubled her recipe. See? 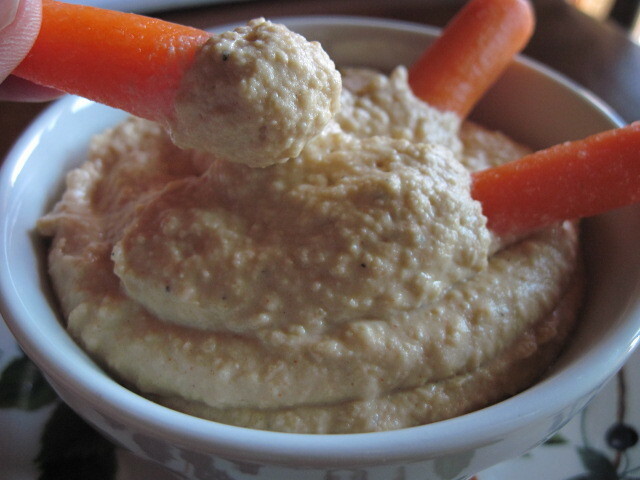 I told you I enjoy hummus! Put all the ingredients into a food processor and whir until smooth. Continue adding more chickpea liquid (if desired), to come up to the consistency you like. Refrigerate at least 4 hours to marry the flavors. Serve with assorted fresh vegetables, crackers and pita chips. Creamy and almost nutty tasting. The slight bit of smokey flavor marries well with the tiny hint of sweet from the honey. Guess I’ll no longer be buying the store brand. I’ve made my own favorite and it was SO easy! 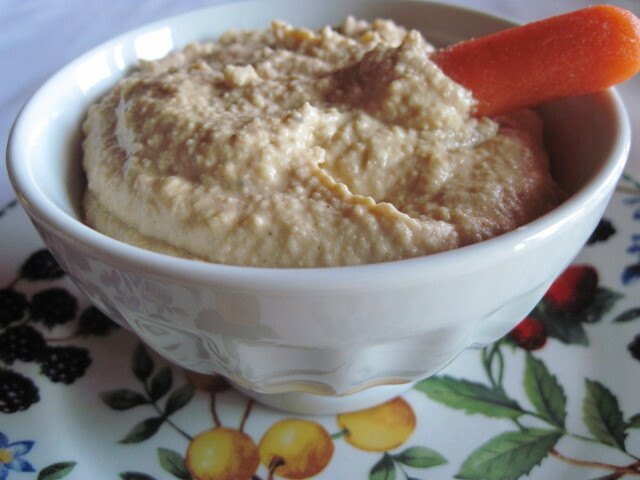 I bet the addition of smoked paprika was nice in the hummus. So happy that you were able to use my recipe as a base to make your own 'house blend'.